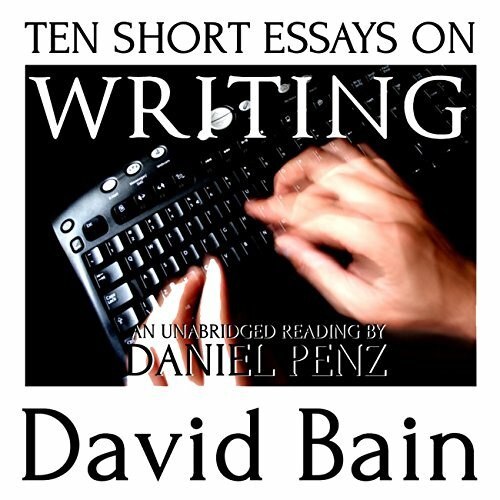 David Bain, author of Gray Lake, Death Sight and several short story collections, offers ten essays on writing, with an eye toward helping new writers gain their footing and keeping the more seasoned scribe motivated. It also includes his essay "Basic E-Book Self-Publishing Advice for Newbies" which has already helped hundreds of beginning indie authors. A longtime college English prof and former newspaper bureau chief, Bain infuses these essays on the writing life with years of teaching, editing, and indie publishing experience, using an easygoing yet incisive style. Also included are insights into Bain's own work, background into his fictional characters and settings, and two interviews with fellow authors working in the dark fantasy genre. On Revision: Love, Hate, and Saying "Good Enough"
Don't Worry about Word Count - "The Bathroom Break Method"
Interview with C. Dennis Moore: "On Reviewing"
David Bain seems to have a thorough grasp of his medium and is able to channel his energy into creating art. At least that's the impression I got from him. I think the biggest takeaway for me from this book is an implied premise: that mastery is possible, and that if you work hard at writing, you'll begin to understand how to take more liberties and acquire a sense for good and bad writing. I'm a new writer, and this book inspired me further to write stories and poetry.